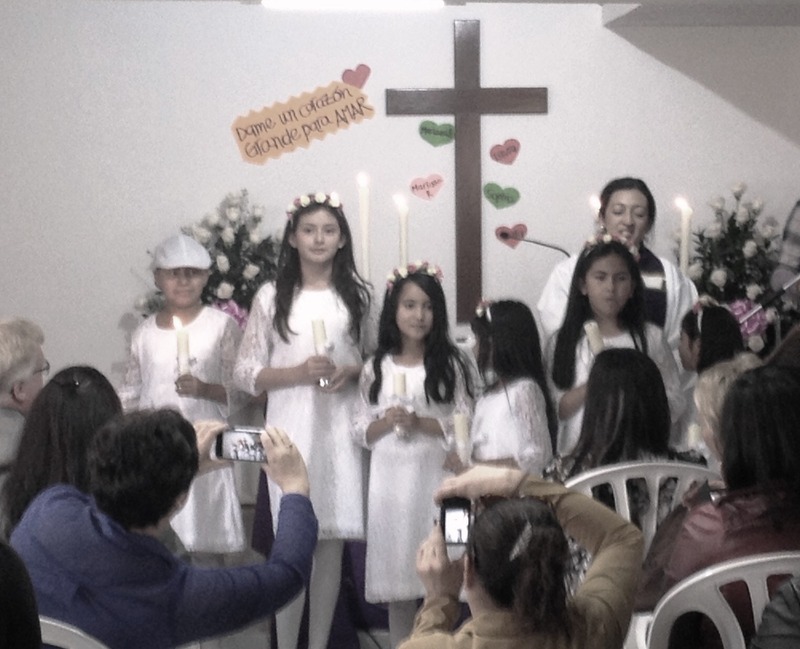 This morning in worship we celebrated the First Communion of 6 girls. Here are the 6 girls right before their communion with the Pastor Angelica. The girls all had matching white dresses with a flower headband. Laura, on the left who has cancer and currently no hair, wore a white lace cap. It was quite the celebration this morning!